1932 Ford Hoodstar Speeder by Jimmy Flintstone. 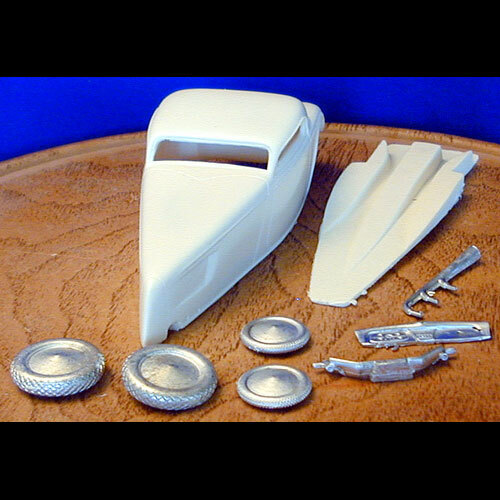 One piece body with belly pan. Includes white metal wheels / tires, drop axle, dash and exhaust header pipe. This has a So-Cal feel and look to it. Like a Bonneville speed car. 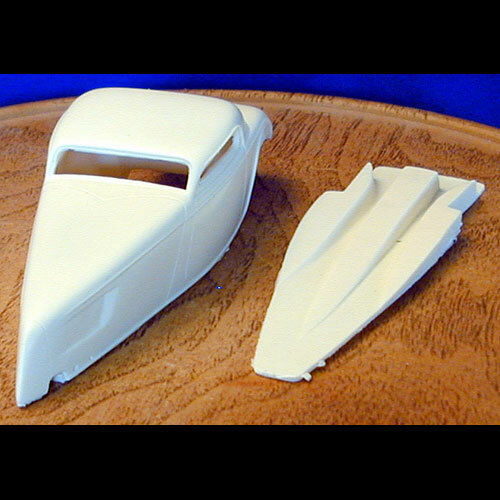 This resin model / body would require a Hot Rod model kit for donor parts to finish.